Clerkenwell Design Week was a truly inspirational festival, a real celebration of craft and design. 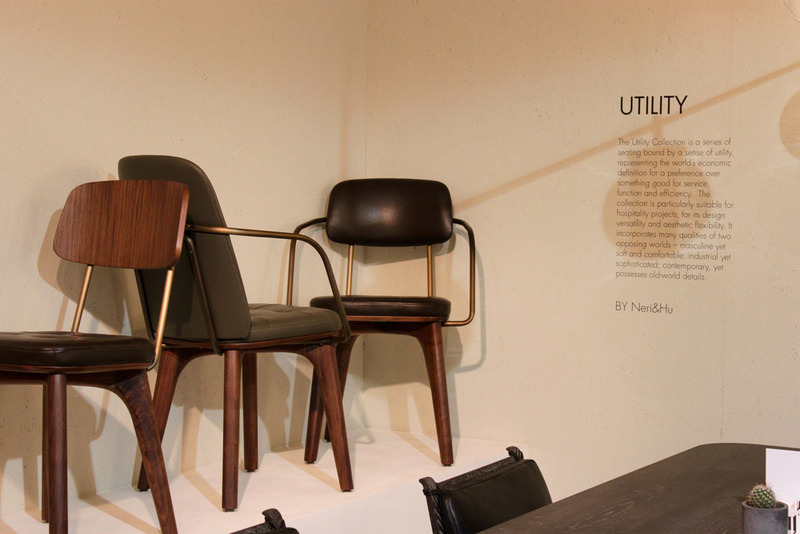 CDW2015 showcased both established and emerging designers and companies. There was a really refreshing variety of work, but what we were most struck by was the shared sense of nostalgia. There seemed to be a focus on looking back to historic design movements for inspiration as well as keeping craft alive. We spoke to the designers and craftsmen at TedWood about their work. Started by Ted Jeffries, TedWood uses sustainably grown British hardwoods for their contemporary wooden furniture, which is not only stunningly designed but holds a family value and history. They'd brought their working bench from their studio in Sussex to exhibit alongside pieces of furniture and lighting, having been passed down from Ted's grandfather and father who both used it. It's exciting to meet young designers who really are keeping this traditional craft going, but reworking it with their own contemporary designs. The leather shades on the lights (below right) were made by Ted's mother, a true family collaboration. This Robin Day chair (below left) caught our eye as soon as we walked in. Day undoubtedly transformed British design and high street furniture, his 'Polyprop' stacking chairs has become one of the best selling chairs of all time. It was his postwar modernist furniture though that has been so influential to contemporary design as he developed low-cost but sensitively designed items. His influence was evident in Stellar Works 'Utility' range (below right) which centres on this idea of function and efficiency. Their return to industrial design is counterbalanced by their use of soft leather and smooth woods. 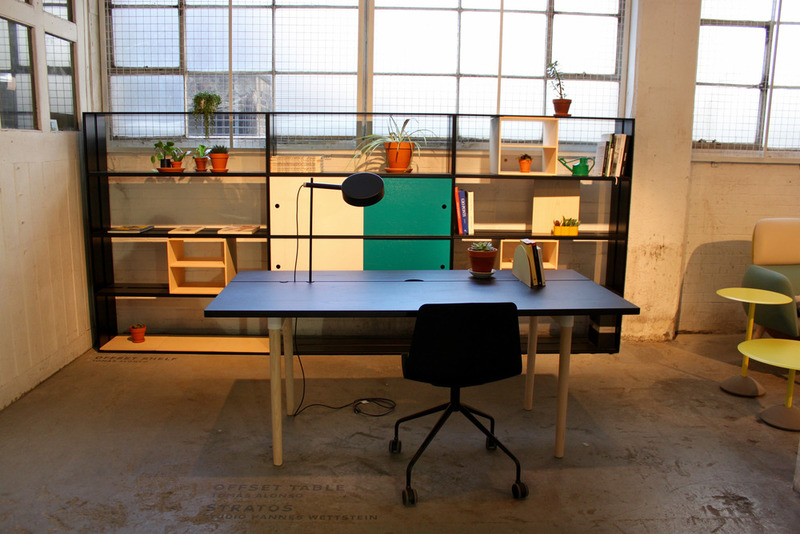 Stellar Works Laval desk (below left) is a collaboration between French furniture maker Laval and Danish design studio OeO. The collection aims to merge a sense of French elegance and simplicity with a more modern need for comfort and utility. Tomas Alonso’s Offset Table (below right) designed for Maxdesign responds to the need for flexibility in modern working home offices. The table can be broken down and customized for varying lighting, cable and size requirements. Alonso describes it as ‘a place to eat, a place to work and a place to meet all at the same table’. It was great to meet the team at James UK as we really value their emphasis on British craft. All of their furniture is made in the UK by a team of skilled carpenters and upholsterers. The Norton Cove sofa (below left) is a larger take on the typical armchair. 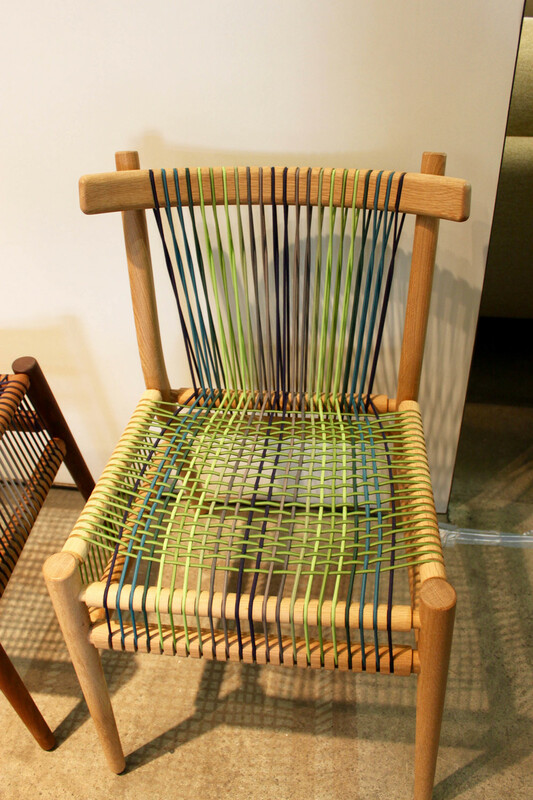 Furniture brand H were inspired by a belt-making loom found in Oaxaca, Mexico for their Loom chair (below right). They've been collaborating with a textile designer whose colour choices perfectly balance with the hardwood frame. Thonet's iconic range has been updated to suit contemporary interiors. Their display focussed on their design history showing the evolution of Thonet’s curved wooden designs to Marcel Breuer’s curved tubular steel designs.